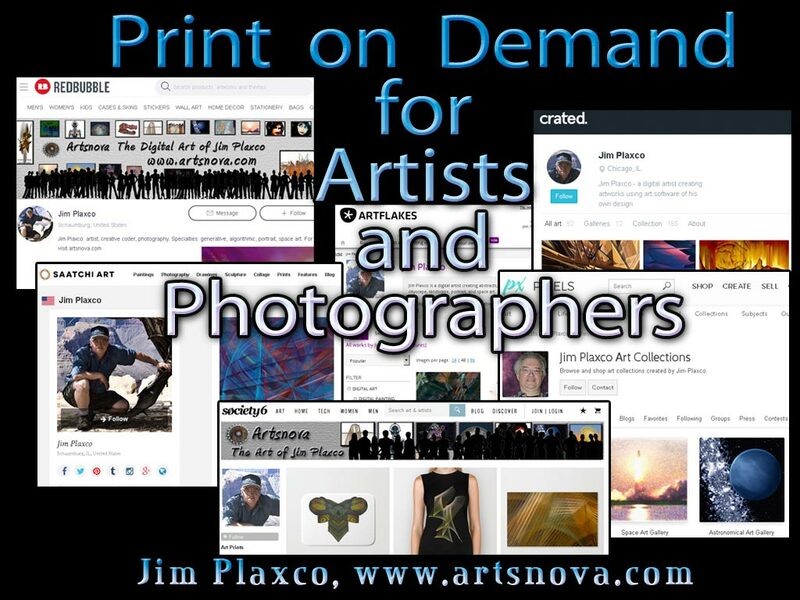 This presentation is for any artist or photographer who has considered making their art or photography available for sell on one or more of the many print on demand (POD) web sites. Note that this should not to be confused with the business of print on demand as it pertains to authors and books. Rather this presentation focuses on the print on demand services provided by businesses like Redbubble, FineartAmerica, Zazzle, Society6, Imagekind, SaatchiArt, DeviantArt, and similar POD businesses. More specifically, this talk is an analysis of how to review and evaluate the many competing art print on demand businesses and how to choose the POD site that is most appropriate for your art or photography business. The length of the formal presentation is adjustable to between 40 and 60 minutes. The program can be extended to between two and three hours for those desiring a greater depth of background information and real time investigation of the competing platforms and their workflow. For scheduling and general inquiries please click the link below to send me an email.